Ian joined Aberlour in August 2016 as Director of Finance and Resources. He has leadership responsibility for financial management, governance, ICT and Property Assets and is Company Secretary. Outside Aberlour Ian is also an Audit Committee Member of the Scottish Local Government Improvement Service. 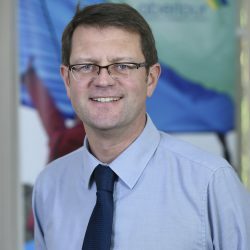 Ian qualified as an accountant in 1991 after attending Glasgow Caledonian University and Liverpool John Moores University and is a member of the Chartered Institute of Public Finance and Accountancy. He was previously Group Director of Finance and Corporate Assets at East Dunbartonshire Council. Previously in his career Ian has worked across the Lothians and Falkirk in a range of Finance roles at local authorities.